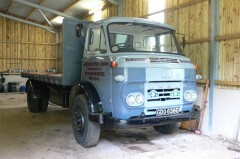 Two trucks that once took their owner to Covent Garden to collect wholesale fruit and veg are among the crop of classics coming to auction. 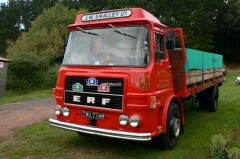 Part of the collection of Brian Smalley, who was in business with his two brothers, the 1967 Commer CC dropside (guide price £7,500-9,500) and 1974 ERF LAG 160 flatbed (£8,000-10,000) were not the only vehicles to catch Mr Smalley’s eye. 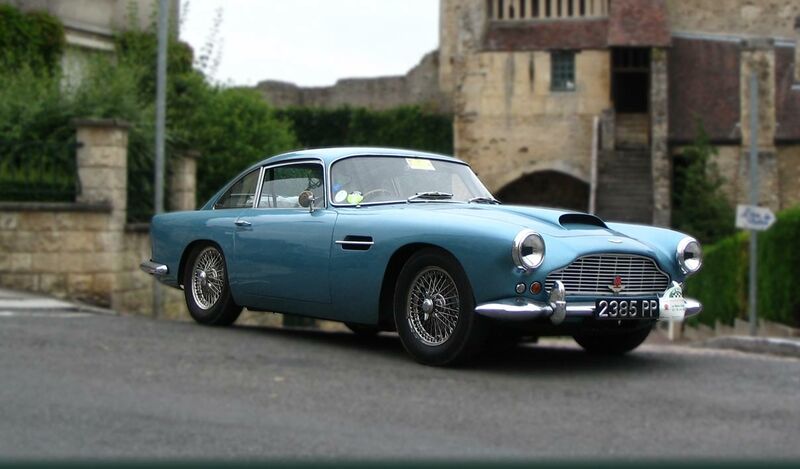 Accompanying the two trucks to the Dorset Vintage and Classic Auctions sale at Athelhampton House on November 29th are a 1959 Armstrong Siddeley Star Sapphire (£38,000-40,000) that has had an extensive, costly, and painstaking restoration plus a brace of MGs, a 1976 Midget 1500 (£5,000-6,000) with the desirable larger-capacity engine and a 1969 B GT (£5,500-6,500) that has the overdrive gearbox so many buyers covet. Other bidders may well prefer a “B” that now has an Oselli engine, in which case a 1976 Roadster (£7,500-8,500) that has undergone a full restoration may well catch their eye. Back with the auction’s “A” team, a 1939 Alvis 12/70 Anderson Tourer by Whittingham and Mitchel (£40,000-50,000) is being offered having been in the same family ownership since the 1960s while a slightly earlier, 1936, Austin 18 York saloon (£7,500-8,500) offers an entrée to pre-war motoring with a lesser budget. The E Type Jaguar will never be without enthusiasts and for the car fanatic who has everything except an exceptional “E” comes the perfect opportunity, a 1966 Series 1 4.2 Roadster (£95,000-110,000) in desirable Carmen Red, and possibly the perfect Christmas present from a generous family member or friend. The onset of winter always helps hone enthusiasm for a 4x4, and what better way to get anywhere than in a 1968 Series IIA Land Rover 88 inch hardtop (£8,000-10,000) with seating for six and boasting a new galvanised chassis that will shrug off salt as surely as the wheels shrug off ice, snow, and mud. A yellow and black 1933 Rolls-Royce 20/25 Four Light Limousine by Park Ward (£30,000-35,000) will allow the successful bidder to dream of better weather while those whiling away the winter hours might be attracted by two barn find projects, a 1970 Triumph Vitesse Mk 2 saloon (£800-1,400) or a 1939 Wolseley 10 Series III saloon (£1,200-1,800). Among more modern cars, but still with collector appeal, are a 1992 Alfa Romeo 75 Twin Spark Limited Edition (£5,000-7,000) and two automatic transmission Mercedes-Benz, a 1992 300 CE (£1,500-2,500) and a 1998 E240 Elegance (£3,500-4,500) that has just two owners from new.